Following its successful run at the Young Vic last Christmas, Golem, a "satirical swipe at the iPad generation" (Telegraph), comes to Trafalgar Studios for a six week run this spring. 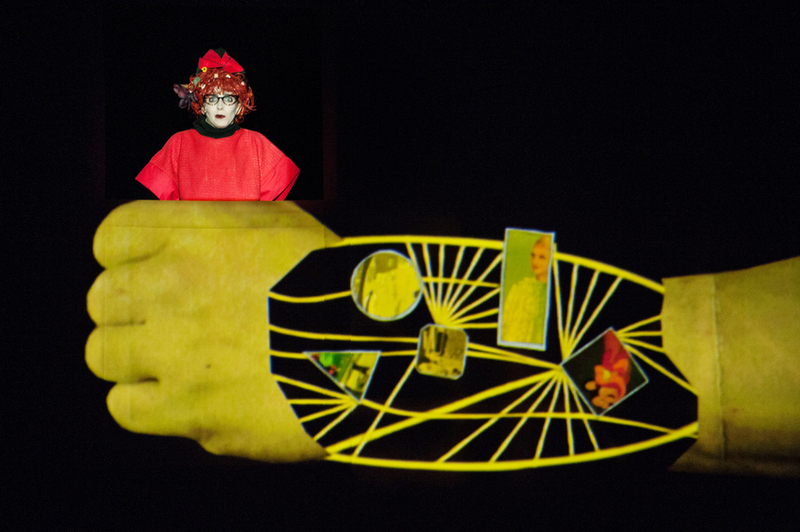 Written and directed by Suzanne Andrade, this colourful and philosophical show from the theatre collective 1927 cleverly uses original animation blended with music and performance to question what happens when man and machine become intertwined. "A witty collision of knowingly antiquated aesthetics, wide-ranging cultural influences and modern-day sensibilities," says Dominic Cavendish, writing in the Daily Telegraph. What are the best dining options near Golem London? Golem gyms, sporting activities, health & beauty and fitness. The best pubs near London Golem. Golem clubs, bars, cabaret nights, casinos and interesting nightlife. Where to have your meeting, conference, exhibition, private dining or training course near Golem. From cheap budget hotels to luxury 5 star hotels see our discounts for Trafalgar Studios hotels, including The Trafalgar St. James London, Curio Collection by Hilton from 81% off.